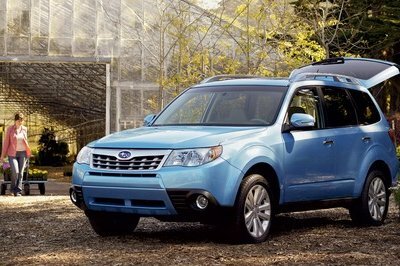 The Forester E-Boxer was just recently unveiled as a Japanese-only model and for good reason. 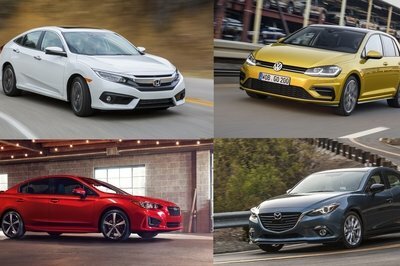 With that 2.0-liter flat-four and electric motor combo only delivering 156 horsepower and 187 pound-feet of torque, we have it on good authority that Americans would simply laugh at it and buy something else. 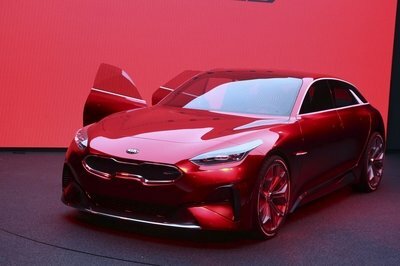 After all, Subaru dropped the ball here with the hybrid technology. 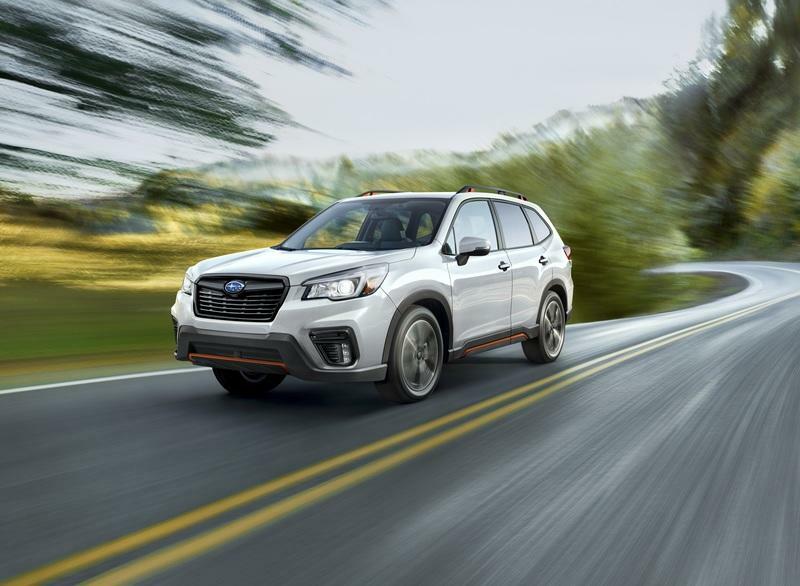 Sure, that e-Boxer running gear may provide smoother operation, but when it comes to electric motors, we all know that more power can be had, even with a smaller battery pack. 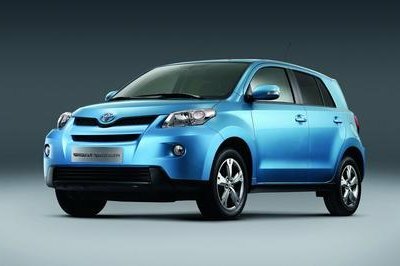 EV tech is positioned to become the next big thing in performance and some automakers like Mercedes and McLaren, for example, are already taking advantage. Subaru just hasn’t figured it out yet, I guess. 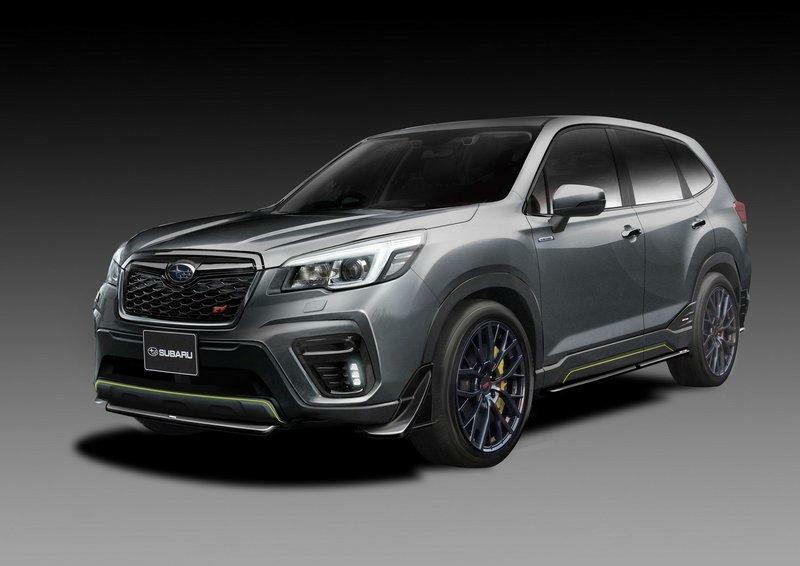 And, that’s what makes the Forest STI e-Boxer Concept somewhat of a letdown and it’s an exercise in futility to not talk a little smack. 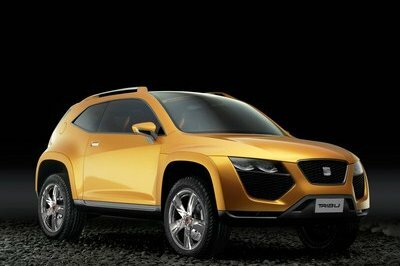 On the plus side, however, the concept does look good. 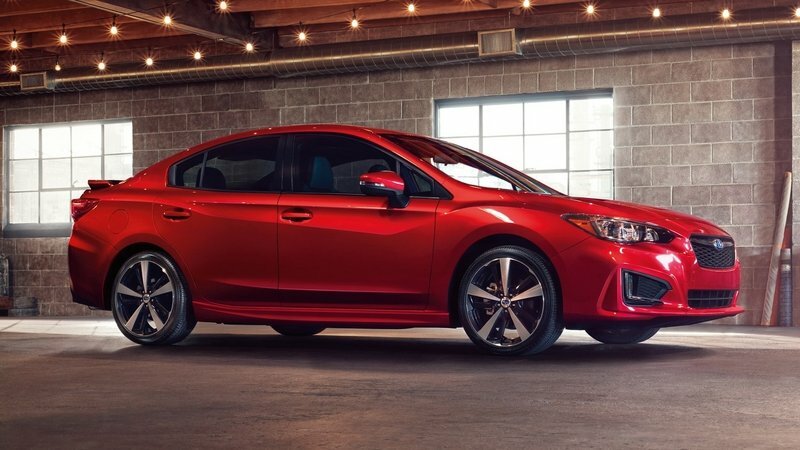 Granted it’s basically an “STI-lite” model in the sense that it doesn’t take on any extra drivetrain modification, but it does sit lower and features more aggressive styling. There’s some yellow accenting here and there, and the wheels do the car a lot of justice as well. Of course, the blacked-out grille and rear gate both proudly display an STI badge, and the “Fighter Grey” paint is a very nice touch. It does feature six-piston Brembo calipers up front, which could indicate at least some performance upgrades elsewhere, but don’t hold your breath. 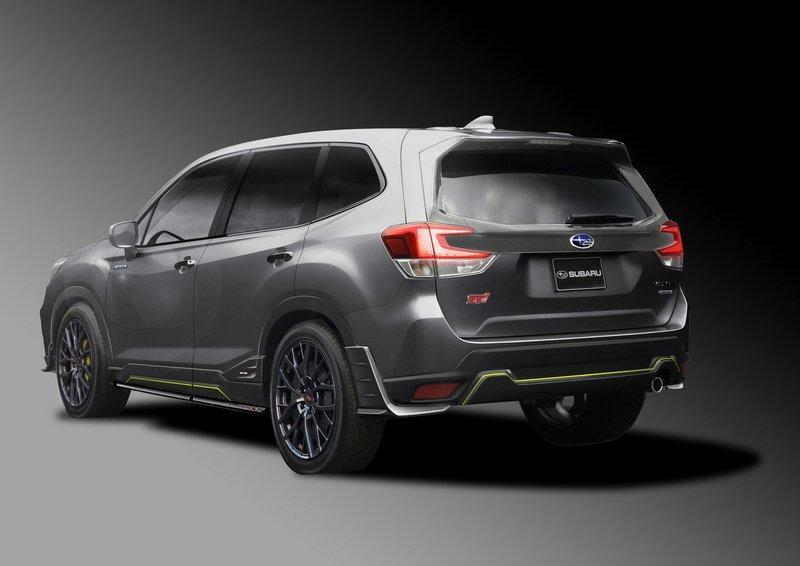 We don’t know anything about the interior, but knowing Subaru, there’s at least some enhancement here as well. You can probably expect contrast stitching that matches the yellow accents as well as a “Fighter Grey” interior color scheme as well. 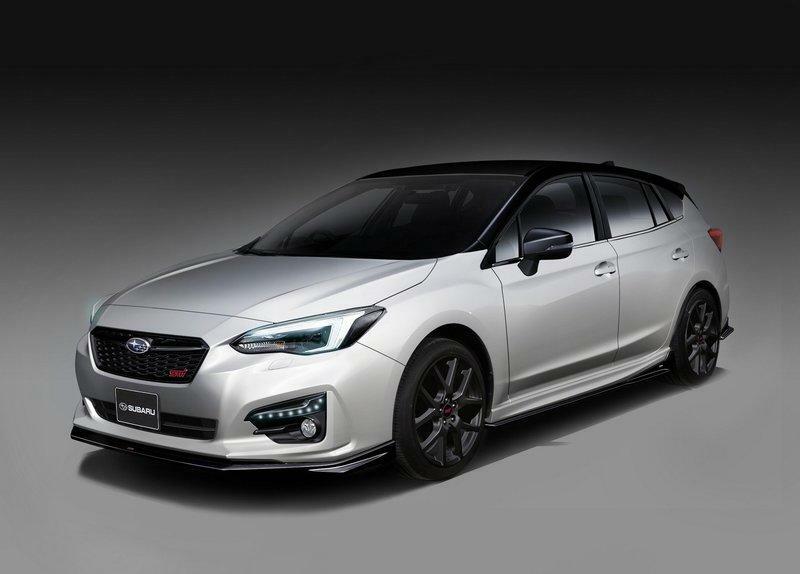 The Impreza STI concept actually looks pretty damn cool if you can get past the fact that Subaru basically made a body kit for a regular Impreza and gave it some minor alterations like the front spoiler lip and black side skirts. The black roof against the whiteish grey body is a nice touch, and the gloss black finish on the front lip, the side skirts, and the rear fascia flics are a nice touch. Arguably, the most important aspect of this concept are the central exhaust outlets that are topped off by a little lip just above them. It almost gives the rear end a sports-car look despite its hatchback appearance. Yeah, it’s a play taken out of the Civic Type R playbook, but it’s cool nonetheless. The gloss black wheels tie the whole exterior together nicely too. As for the interior, Subaru says it has actually put in some work but, despite us reaching out, we’ve yet to receive images. The brand has said that the interior is “Bordeaux” with “high texture,” whatever that means. 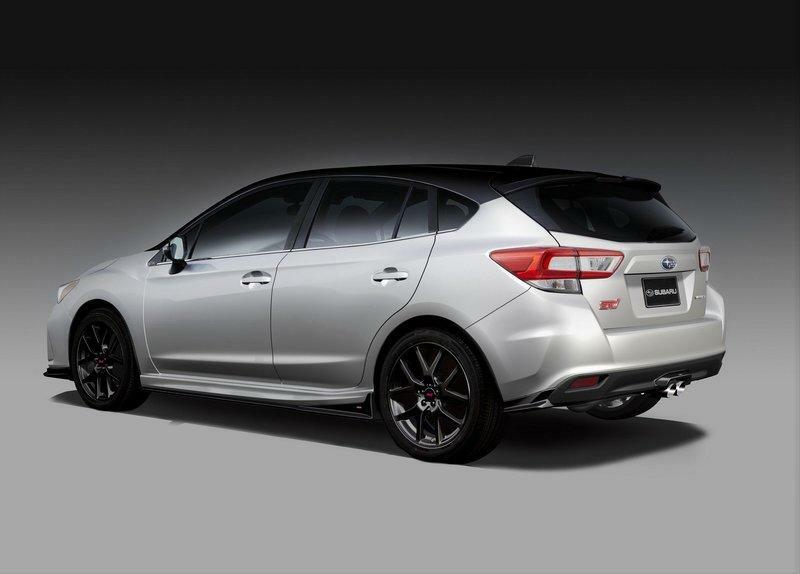 Now, this could be the STI hatchback that we’ve been outright begging for in the states, but only if Subaru actually gave this thing some performance upgrades and didn’t follow the “STI-lite” play it did with the Forester we talked about above. The easiest solution here would have been for the brand to go with the same drivetrain found in the 2018 WRX STi Final Edition. That was a 2.5-liter flat-four that put out 305 ponies and 290 pound-feet of twist – enough for the WRX to run to 60 mph in 4.6 seconds on the way to a top speed of 160 mph. 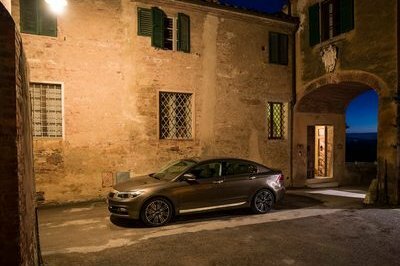 Similar performance in this little hatchback would make it an absolute dream to drive, and we hope Subaru didn’t only do us right with the concept but will actually put it into production and bring it to U.S. Shores.